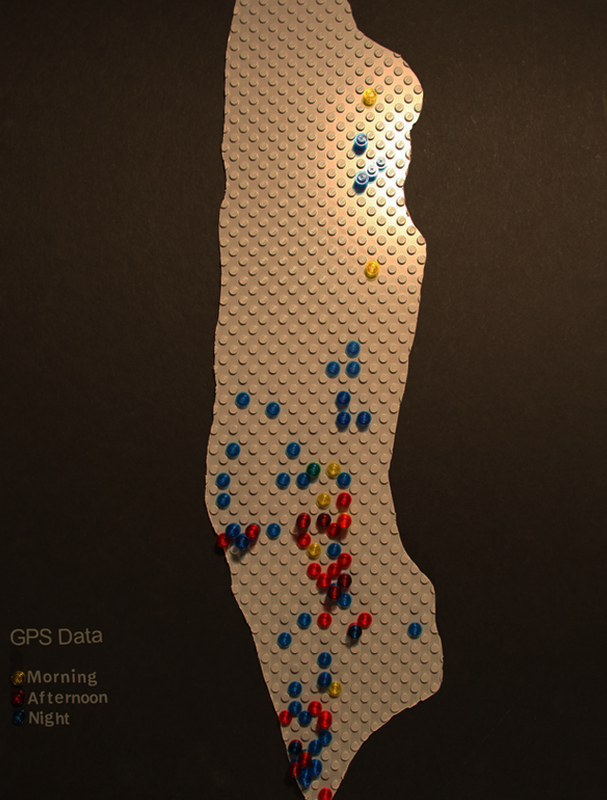 In this data visualization project, my goal was to track my location using a GPS-enabled mobile app for an extended period of time. The app recorded my coordinates every 30 minutes over the course of a month. I used the raw location data to produce two data visualizations in Processing and two more in a physical representation format. The first set of visualizations is a map with an overlay of the areas I visited, augmented with temporal coloring, i.e. 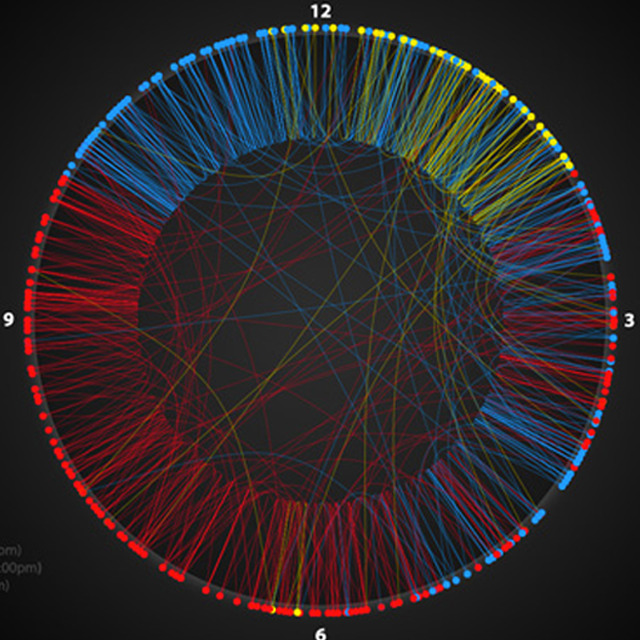 different colors correlated to the time of day. 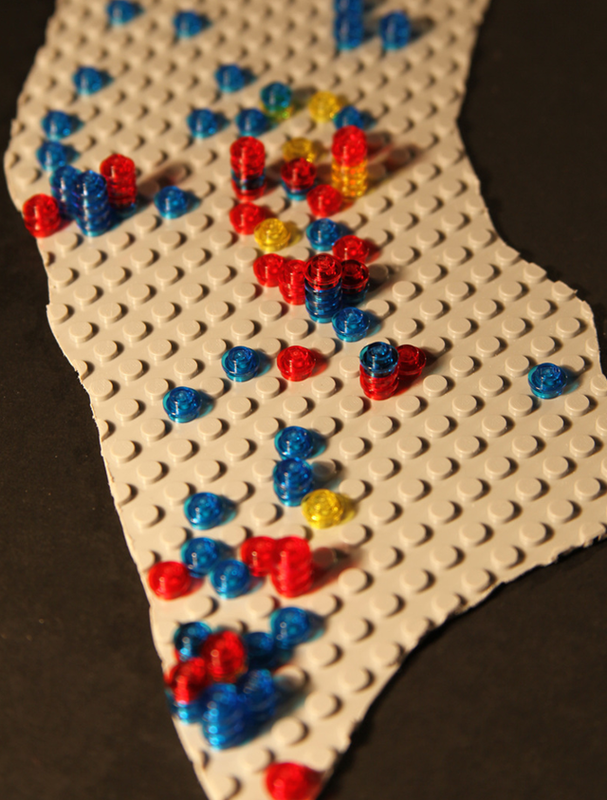 I built this visualization in Processing and also created a physical representation using Legos. 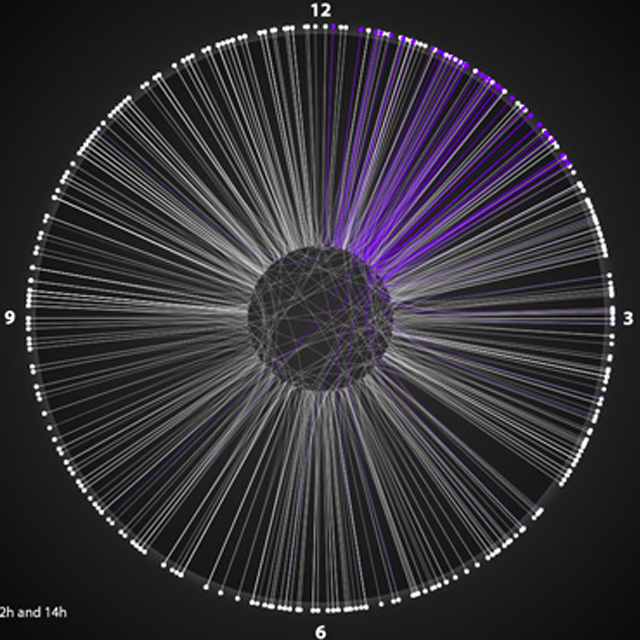 The second set of visualizations experiment further with the temporal dimension, drawing lines on an analog clock and connecting consecutive GPS traces with coloring based on the time of day. 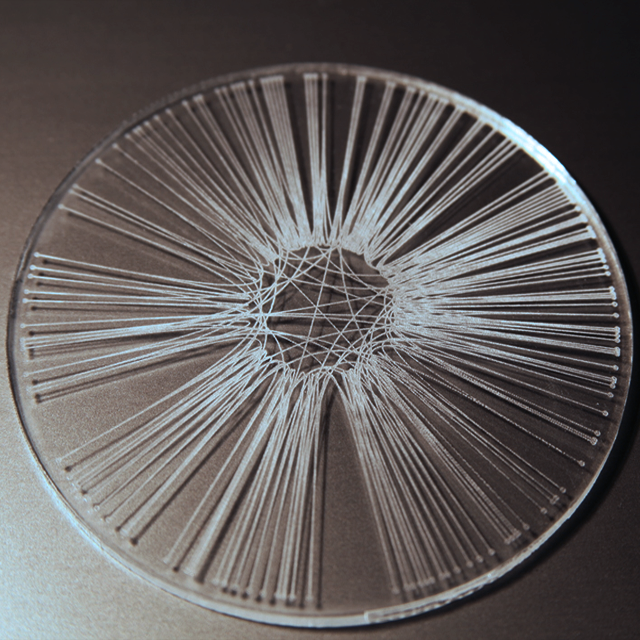 I built this visualization in Processing and I also built a physical model using acrylic.